Drilling Tool Recovery - Global Diving & Salvage, Inc.
Global’s Alaska dive crew was called to the Arctic Ocean for a drilling tool recovery. The dive team executed an ice dive in -15° F temperatures with an ice thickness of 5 feet to recover an offshore drilling tool that fell from a helicopter sling load. The replacement tool value was $500,000. The team used two Rolagons to transport dive crew and support personnel to the offshore location. 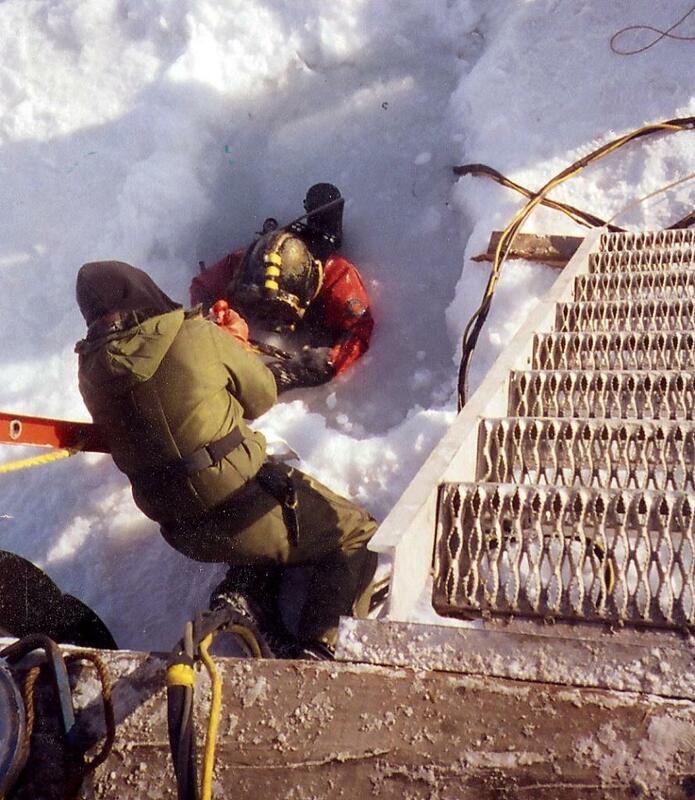 20″ hydraulic auger bits were used to create an entry hole into the ice at the dive location on the Arctic Ocean.